But if you can’t find the answers to your questions, please contact our graduate recruitment team directly at atosgraduates@alexmann.com or call 01344 471370. As well as a desire for business exposure and responsibility, you’ll have excellent written and verbal communication skills, be a great team player, and will preferably have previous customer-facing experience. You’ll need a friendly personality, plenty of initiative and a pragmatic approach. You’ll also be good at building relationships too and bring high levels of commercial awareness and motivation. Whilst many graduate placements offer a fixed location, others can involve changes of project at different locations around the UK, so you should be flexible about where you are able to work. It’s crucial that you share our determination to deliver what’s been promised – on time, within budget and to agreed standards. This is a large and complex corporate environment, so it’s important that you appreciate everything that’s necessary to operate here, with a key commitment to creating customer satisfaction by making things happen. The ability to communicate clearly and persuasively is a must, as is willingness to seek feedback, listen and understand other viewpoints. You’ll have a keen understanding of what digital means for businesses – and confidence in your ability to credibly deliver digital solutions to our clients. You’ll be the kind of person who continuously seeks to improve your personal skills. You’ll seize opportunities to challenge yourself and take the lead on your own professional development and growth. For our application closing dates, please visit our ‘Apply‘ page. We encourage you to apply early, as our popular schemes fill up fast. We start our assessment centres as early as October and we may start to fill roles before the closing date. To get started, you’ll need to fill in the online application form. We’ll ask you to complete two motivational questions in detail, to demonstrate your skills and experiences as well as explaining how your own values relate to ours. You will also need to indicate what has motivated you to apply to Atos and demonstrate your commercial understanding of the digital industry, including explaining the impact of a recent digital issues in the IT industry. Bear in mind that our recruitment team will review the content of these questions very carefully, so this is where you should focus your efforts when preparing the application form. You might want to ask a friend to “sense check” the form once you’ve finished, to make sure you’ve answered the questions in full with no spelling or grammar mistakes. Before you submit, you’ll be asked to complete a questionnaire on your working style preferences. Be honest with your answers – we need to make sure that if you join us, you’ll be successful and enjoy what you’re doing. If you’re made an offer, we’ll use the information gathered here to get to know how you work and which role might be best suited to you. When we receive your application form, we’ll acknowledge your application and let you know the next steps. We’ll then assess your form as quickly as possible. All applicants to our graduate programme are required to undertake an online test, which includes numerical and verbal reasoning testing as well as a personality profile. You’ll be able to complete the test either on your laptop or a mobile device and it takes about an hour. If you’re not able to complete a test by the date given, please let the recruitment team know and we should be able to give you an extension, although in some circumstances this may affect our ability to progress your application – if, for example, the assessment centre for your scheme is taking place fairly soon. If you require any additional support (for example, due to dyslexia, or accessibility issues), we’ll make sure we can accommodate you. Just let us know what you’ll need. In your video interview we’ll be focusing heavily on your skills through a series of competency-based questions, as well as asking you about your motivations for choosing Atos, and ensuring we’re considering you for the most suitable role. The video interview will last around 30 minutes and you should prepare for it in exactly the same way as a face-to-face interview. Don’t worry if you have never done this before – it is an easy to use platform and our recruitment team will be on hand to help with any queries, or technical issues. Finally, there’s a full-day Assessment Centre, where you’ll get to meet a number of our hiring managers. During the day you will complete several exercises, including one-to-one competency-based interviews, an individual case study and a group exercise, which will give you real insight into life on our graduate programme. You’ll also get to meet a current graduate, who will discuss their experience on the Programme and answer any questions you may have. Whether you join us or not, we believe you should have a positive experience on the day, and our post-assessment centre feedback session will give you a good insight into your performance, as well as personal development suggestions for the future. Will I be able to travel abroad? We’re specifically recruiting for positions in the UK, and expect applicants to be prepared to work here for a number of years. However, we are a global company and opportunities for working abroad do sometimes arise. Some parts of the business have more opportunities than others to work abroad, so we can’t guarantee the chance to do so. Start dates vary according to which part of the business you join. Generally our intake dates are in June, and September – November, although it can be possible to start earlier. Your starting date will take your personal preference into account wherever possible. We’re a global company with a good mix of male and female staff from a broad range of countries, religions, ethnicities and lifestyles. We work hard to ensure our people are as diverse as the activities we perform. If you have certain special requirements, or are having difficulty applying due to a disability, please let us know as soon as possible and we’ll make sure we accommodate you. Rest assured, it will not affect your application. Atos has a policy of equality both in our recruitment process, and once you’ve joined us. Atos Pride:Established to support the LGBT community, Atos Pride is open to everyone, and acts as a Stonewall Diversity Champion. Atos Aspire: Promoting gender equality and diversity among our people, Aspire encourages an inclusive culture for everyone to reach their full potential. 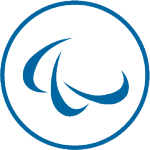 Atos Adapt: Our ability network is all about thinking differently about disability. Supporting our people with disabilities as well as carers, Atos Adapt is a proud partner of the Business Disability Forum. Aeon: Our multi-generational network, Aeon brings together our employees of all ages, promoting personal and professional growth. Armed Forces Network: We’re a proud supporter of the Armed forces, and it shows – our Ex-Military and Reservists Network works closely with the Careers Transition Partnership, and recently won an Armed Forces Covenant silver award. Together Network: Our people come from a diverse range of cultures. Our Together Network is dedicated to bringing people together from all cultures, and importantly: having fun! Yes, please apply online. Due to the volume of applications we receive, we have to manage all applications in one place and so can’t accept paper applications or CVs. Let us know if you’re having problems applying due to a disability, and we’ll ensure that you’re able to complete your application. The Graduate starting salary is £28,000 (or £30,000 in London). The package includes 25 days holiday, an interest free loan, private medical insurance, a pension plan and a range of flexible benefits. Please see the benefits page for full details of our reward package. We reimburse reasonable relocation expenses, which need to be approved upfront by your future line manager and supported by receipts. Can I state a preferred location? We recruit for roles across a range of locations and will take your preferences on board. You’ll need to be flexible, as some roles may require you to be away from your base location for extended periods at customers’ sites. For other roles you’ll spend more time in your base location, but you should still be prepared to work away on occasions. All graduates attend our intensive, two-week induction programme, with follow-up training throughout the 18-month scheme. You can also expect full support with soft skills and commercial and technical training to enable you to succeed in your role. Read more about our training and development here. Can I still apply if I don’t have a degree? You do need to have completed an undergraduate degree to join our Graduate Programme. If you have completed school or college, or you have started at university, but decided it isn’t for you, and you’re looking for your first career opportunity, you could be suited to our Apprenticeship Programme. Where can I discover more about opportunities for experienced professionals? You’ll find information regarding all opportunities outside graduate recruitment on our careers page. We don’t accept speculative applications for our graduate opportunities. But you can register your interest in future graduate opportunities, or apply directly. Do you accept applications from non-UK graduates? We welcome applications from any candidate, regardless of background or country of study, in accordance with our equal opportunities policy. Please be advised, Atos do not offer visa sponsorship, so you do need to have the right to work in the UK. Please note that some of our roles may require you to have indefinite leave to remain in the UK and to have been a resident in the UK for at least five years. If you are likely to receive an offer and you are unable to meet these criteria we will do our best to find you another role on our graduate scheme. You can find out more at https://www.gov.uk/government/organisations/uk-visas-and-immigration.